There is an incredible period of activity around the International Space Station these days with many things happening onboard as well as on ground over the next three weeks. In three weeks Luca will be back on Earth but the activity planning between now and when he returns has changed considerably. 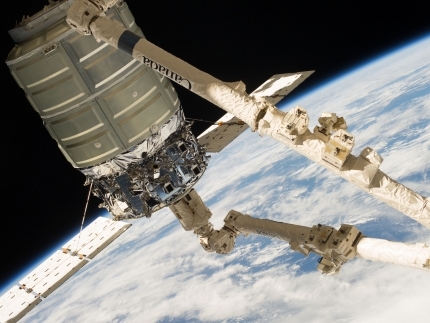 The Cygnus spacecraft will leave the Space Station around midday. The ground teams and astronauts are busy preparing for its departure. Luca and crewmate Karen will operate the Canadian Robotics Arm to release the spacecraft. Like all spacecraft that do not land on Earth, Cygnus will perform a series of manoeuvres to slow itself down and then burn up in the atmosphere. The ATV-4 spacecraft is attached to the back of the Space Station and is leaving on 28 October in the morning loaded with 1700 kilograms of waste. ATV-4’s reentry and burn-up in the atmosphere will be followed by the astronauts in orbit and we should see some spectacular images of a bright trail in the sky. ATV-4 spent more than 100 days in space. 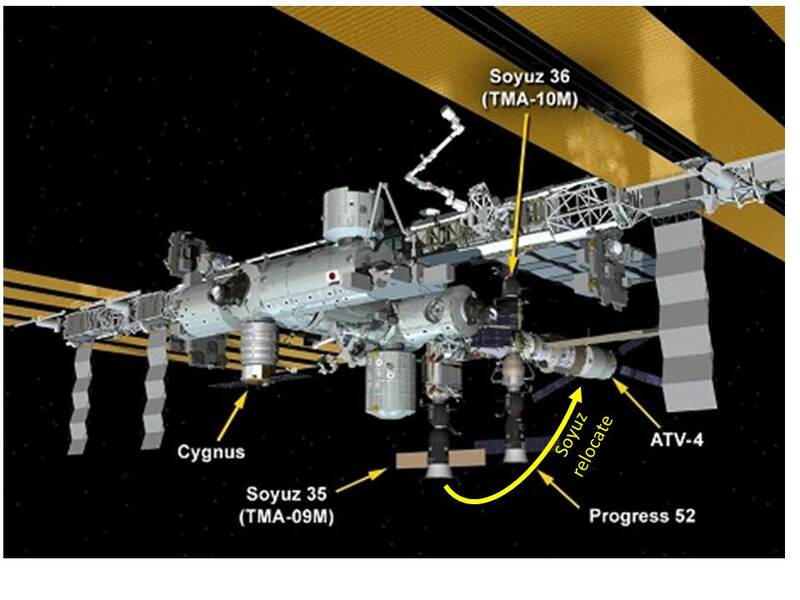 After ATV-4 departs, the tail end of the Station will be prepared to receive the Soyuz spacecraft that flew Luca to the International Space Station more than five months ago. The Soyuz is currently attached at a different location, which will be used for the next Soyuz vehicle that is arriving soon. Luca and crew will have to enter their Soyuz, undock from the Station and fly to the tail-end of the orbital outpost where they will re-dock. 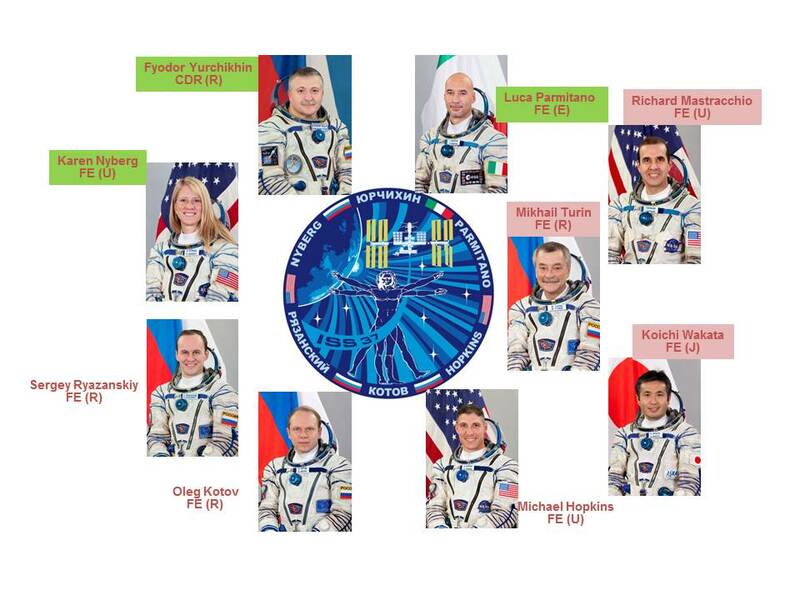 On 7 November three more astronauts will arrive on the Station bringing the entire crew to nine astronauts. It will be quite busy up there for a few days until Luca’s expedition returns to Earth. It’s going to be a lot of work for all teams to ensure that these activities are prepared and conducted perfectly. We have not had such an intense period of activities for quite a while. All the teams are extremely busy, especially as some of these activities are new and require particular attention. We avoid talking about Luca’s return. We are looking forward to have him back on ground, but we also know that in a few weeks, we will miss having him in orbit. We have had a great time working with him and the Space Station will be different without our Luke Skywalker. If you don’t mind, could you tell me how many sleeping berths does the ISS have? Cause, if I’m not wrong, I think that it has only six, hasn’t it? La Missione Volare ha cambiato la percezione che avevamo del mondo. Grazie per averci ricordato che è bello sognare, grazie per averci permesso di guardare la nostra Terra scoprendone i tesori nascosti. E grazie per aver scelto tra gli altri il nostro AstroLuca, che ci ha coinvolto nel suo lavoro, portandoci lassù con la squadra sull’Iss. Ogni volta che guarderò il cielo, penserò a ciò che hanno fatto questi grandi uomini lassù per noi, e tornerò a sognare. I miei complimenti a tutti coloro che hanno lavorato a questa missione, all’Esa, alla Nasa, e a chi ha permesso che noi da quaggiù fossimo partecipi di tutto questo . Good question Kyriakos. The three new astronauts will find some sleeping spots in other modules of the ISS, until Luca and crewmates return. After the departure of Luca and crewmates, they will prepare their sleep quarters that were occupied by them. Until then, they maybe will find a spot in the Airlock, the Columbus module etc. Hola. Quisiera saber cuàntos metros cuadrados tiene el compartimento de la ISS donde duermen. Feliz vida en ese maravilloso viaje! Las “habitaciones” privadas de la estación espacial tienen un volumen de unos dos metros cúbicos. Como podemos vivir y trabajar en cualquier orientación, no es fácil comparar con las habitaciones en tierra.